When you achieve something accomplished by less than 100 out of more than 5,000 U.S. hospitals, you’ve hit the healthcare IT big time. What’s even more impressive for Wexner Medical Center at The Ohio State University is all four of its hospitals achieved HIMSS Analytics Stage 7 designation at the same time. 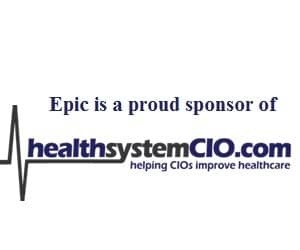 To learn more about the organization’s IT journey, along with the career of its CIO Phyllis Teater, healthsystemCIO.com recently caught up with the Columbus-based executive. I think the input of information and a lot of the complex workflows such as ordering medications is not simple to do. … we encourage people to consider our encryption standards when they purchase a new device. … if you cannot bring your care for your staff and your care for the patients into your healthcare work setting, I’m not sure why you’re in the business. Guerra: I saw that you are co-director of the Center for IT Innovations in Healthcare. Tell me about the organization and what its role is? Teater: That organization was a center that was formed here at the university, I think it was three or four years ago. I was not the original executive director. That is part of more recent responsibilities for me, and it is an institution that really seeks to leverage private-public partnerships between Ohio State, as well as other providers and industry partners, to really advance healthcare IT. We’ve held a number of conferences over the years where we’ve had some collaborations focused on different topics that have helped us to think about the future of advancing healthcare IT through partnerships, public-private partnerships. We’ve also had an arm that did a lot of contracted research development of systems for the government and has worked through a lot of issues related to some advancing technologies in that area. Guerra: Before I touch on a few final things, is there anything else you want to talk about, any issues or projects or thoughts on industry trends you want to discuss? Teater: I think the one we haven’t touched on is that core piece of planning for the future — mobility — and addressing our increasingly mobile population in such a way that brings information to them wherever they are. That is a key focus of ours. We are in partnership with our university looking at a key strategy called Digital First which is providing that mobile digital platform for education, as well as for healthcare and research here at Ohio State University. This really seeks to help us address how do we teach our students and facilitate our patients living in a future world where mobility is the way that people interact electronically. We have a lot of efforts underway there. We have access to the patient portal that we have through handheld devices or through an iPad for both the clinicians and patients, and are developing some custom applications that will help both patients as well as, again, our clinicians to be able to function in that more mobile world. Guerra: Would that be what people are calling a bring your own device policy for the physicians to use their iPhones to see results? They say that consuming information is a little easier than actually inputting information on these small handhelds. What are your thoughts around that? Teater: Absolutely yes, I would agree with that. I think the input of information and a lot of the complex workflows such as ordering medications is not simple to do. Any design I’ve seen is not that simple to use on a handheld device. I think that it’s really more today about consuming information, and I know, even myself, if I want to put forth a really long, well thought-out documentation of an issue through an email, I don’t usually do that on my portable device. I go for my laptop. The other piece I’d address is, from a bring your own device perspective, we certainly allow that within a very, for us, frankly strict structure. That structure defines those devices where we support the ability to encrypt. Our strategy to address some of the security concerns related to mobile devices is if the device is supported by our encryption process you may bring that device and we will load our systems. We will put your email on it. If your device is not supported by our encryption process, then we will encourage you to choose another device. Teater: We do publish those guidelines, especially in November when people are getting ready to buy new devices for the holidays, we encourage people to consider our encryption standards when they purchase a new device. Our hope is to stay ahead of that but, we aren’t always able to do that. Guerra: That’s good. Let’s just touch on a couple other issues, a little more personal if you don’t mind. When we emailed, there was that link in your email to donate for Chrissy Walker. You’re doing a ride. She passed away from cancer. She worked for your IT department when she was a student. If you want to talk about the larger issue in terms of leadership, getting close and connected with the people around you, is it necessary to not get too close in the sense that people lose that respect for authority that they need to have or do you not even think about things like that and you just be yourself? Teater: I try very hard not to think about that side of it. Now there are widely accepted standards for professional conduct which I would try never to cross. I don’t want to say I’m out carousing all night long with half my staff, but if you cannot bring your care for your staff and your care for the patients into your healthcare work setting, I’m not sure why you’re in the business. Guerra: Maybe staff that are involved in healthcare and even IT staff are just a little closer knit than maybe on Wall Street. Teater: I would think so. I would think that I’m very thankful for the mission of this organization and it’s what brings me to work every day — improving the lives of people all over the world. Guerra: Just to give my final question some context, I have two small boys, a 3 year old and a 1 year old that are completely exhausting my wife and I, and we’re not getting any sleep. I did come across – and this was on the internet – that you have three children, Rachel, Dan and Sarah. Guerra: They are, I looked at the ages, they look like they’re within three years, three or four years, is that correct? Teater: They are, because the younger set are twins. Guerra: Oh my goodness. How did you even survive? Teater: A lot of – I’m not kidding. Teater: A lot of support from my husband and my family and my church and from my faith. I think one of the highest calling that we have in life is to raise our children in a way that they can contribute when they contribute to this world instead of just existing in it. But yes, my twins are 13, Dan and Sarah, and my daughter turns 16 next week, Rachel. She’ll be getting behind the wheel of a car so is up for a big test. Guerra: You’re a way’s off from being woken up in the middle of the night. Guerra: In that first year of the twins, that must have been something. Teater: I don’t remember a lot of it actually. It’s amazing what sleep deprivation does to your memory. Guerra: That’s right, but you were still – you’ve been at your organization 20 years, so you worked through all of that or did you take some time off? Teater: No, I have worked through. I’ve had wonderful support from the organization to adjust my schedule when my son was falling asleep in school in the afternoon and was able to work from home in the wee hours of the morning and then be home when he got up and to get him on the bus so that he was able to sleep in. We have a great institution here at Ohio State that understands the balance, and that good balance makes for a good employee. Guerra: Do you agree with the idea that the more you’ve gone through, the better manager you are because you can just understand what they’re experiencing? Teater: Absolutely, and I think that there are shoes that you will never be in and I think to be able to work very hard — I don’t know that you can ever understand how someone feels when they have some significant event in their life but — but to let them know that you’re there for them and to try your hardest to put yourself in their shoes as much as you can to understand how that might be impacting them is really important for your efficacy to help lead an institution, because it’s still made up of the people.